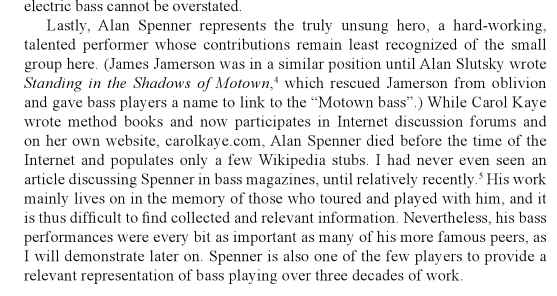 Alan Henry Spenner was a bassist whose career across a 25-year period put him in the center of some of the most popular and critically acclaimed music acts and recordings to come out of England. Ironically for a player whose work included extended stints with the likes of Joe Cocker, Peter Frampton, Ted Nugent, and Roxy Music, his single most influential recording may have been the original studio cast recording of Jesus Christ Superstar (1970), which was heard by tens of millions of listeners. Born Alan Henry Spenner in Dalston in East London, in 1948, Spenner started out playing the guitar, which was a gift from his father. According to Chris Jisi in an account in Bass Player, he wanted to give the boy something to occupy himself and help him stay out of trouble. He later became part of that rare fraternity of young bassists (the bass being an instrument that few but true musicians ever gravitate toward at a young age), switching to the four-string instrument in his teens. And while he was well aware of rock & roll, it was blues (and later R&B and funk) that proved to be his first loves, and he busied himself playing in local bands during the mid-’60s. 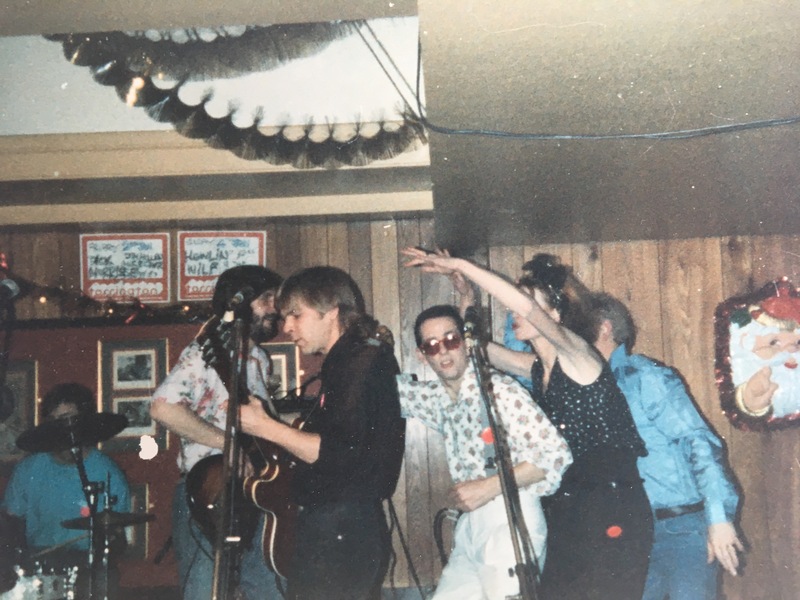 Spenner’s first notable gig was as a member of Wynder K. Frog, a blues/jazz-based band put together by Mick Weaver, with a lineup that also included ex-Bluesology guitarist Neil Hubbard, drummer Bruce Rowland, percussionist Reebop Kwaku Baah, and saxophonist Chris Mercer. 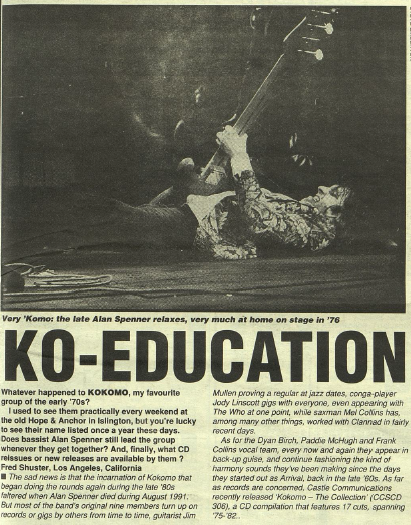 They had a major college following and cut two LPs before splitting up in 1969; Spenner moved on to what was then known as Joe Cocker’s Grease Band, taking over the bass spot from Chris Stainton, who switched to keyboards, and Rowland came along on the drums. That group (which also included Henry McCullough on guitar) quickly became one of the most popular backing bands of their era, attracting nearly as much attention from the critics as Cocker did as a singer, and they carved out a permanent place for themselves in the musical firmament of the era with their performance at Woodstock in August of 1969. Cocker broke up the Grease Band soon after, owing to personal and management pressures, and Spenner found himself back in England. He and McCullough joined Spooky Tooth, played on the album Last Puff (1970), and did a tour of the U.S. (on which, apparently, one of Spenner’s instruments was stolen, according to a posting on TalkBass Forums at talkbass.com; a purchaser trying to return it posted an inquiry in 2005). But in 1970, the Grease Band suddenly re-formed, and their first order of business was to serve as the core group on the original studio recording of Andrew Lloyd Webber’s and Tim Rice’s Jesus Christ Superstar (1970). His loud, ebullient playing — the bass serving as the de facto lead instrument — on “What’s the Buzz,” in particular, influenced a generation of young and aspiring bassists, and the album’s massive (and continuing) popularity earned Spenner a permanent place in the history of rock music from the era. 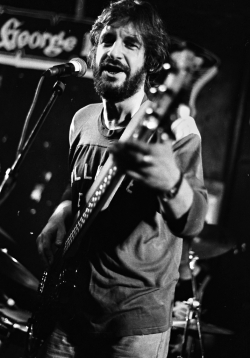 He was never as well-known to the public as John Entwistle, Jack Bruce, or Paul McCartney, but it sometimes seems, to listen to musicians of the era talk, as though every kid who played the bass in that time, or aspired to play it, knew that track and who was featured on it. As a white British player who was fluent in soul and funk styles as well as blues, and could turn it into something popular and notable on a successful recording, Spenner carved out a unique niche for himself at the time. Soon after, the Grease Band began recording and performing regularly in it own right, and the careers and reputations of all of the members were made. Spenner’s next few years were spent playing on records by some of the best-known figures in British rock, include John Martyn, Joe Cocker, Alvin Lee, Paul Kossoff, Donovan, and Ted Nugent. Many of these gigs were played in tandem with Rowland, Hubbard, and the other members of the Grease Band in various combinations. 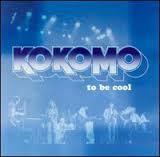 For his own outlet, however, in 1975 Spenner formed Kokomo, a big-band soul outfit that also included Hubbard and such luminaries as King Crimson alumnus Mel Collins. In the second half of the ’70s, he was one of the most in-demand bassists in England, regarded as very much a musicians’ musician, and was working with David Coverdale and Bryan Ferry (on The Bride Stripped Bare), Steve Winwood, Whitesnake, Fairport Convention, and, most notably, Roxy Music, all in between gigs and recordings with Kokomo across the ’80s. Spenner’s work with Roxy Music is probably the most visible of his career, apart from the Woodstock and Jesus Christ Superstar performances; he played on Manifesto, Flesh + Blood, Avalon, The High Road, and Heart Still Beating. The latter title, from 1990, proved something of a grim irony. In the summer of 1991, Spenner died of a heart attack at the age of 43. He is still fondly remembered by longtime fans, and was on enough notable recordings by the artists — especially Joe Cocker — with whom he worked so that his name continues to turn up in the 21st century, in the credits on best-of compilations by most of them.